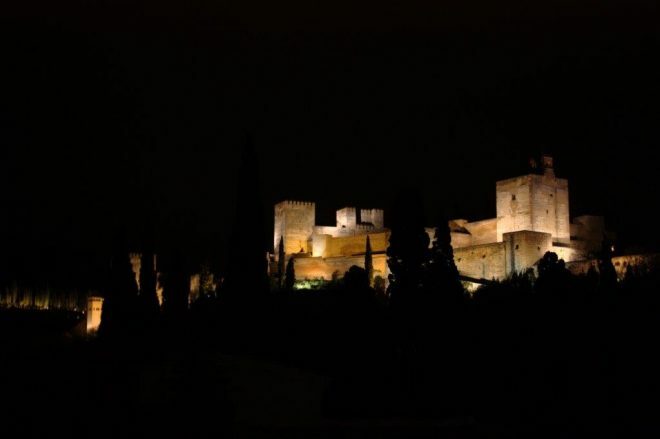 Granada city has a truly distinct identity; an ambiance that is like no other in Andalucia. It’s home of course to the Alhambra, probably the most visited site in Spain and one of the most popular historical places in Europe. There’s the mountains too, the Sierra Nevada National Park that provides such a striking backdrop to the city; as well as the extraordinary Alpujarras villages in the surrounding countryside, that evoke the Moorish period of Andalucía’s remarkable history. The Albaicín district of Granada is recognised as UNESCO world heritage; the city’s living history, that dates to Al-Andalus Spain. Undeniably a little neglected, this ancient quarter is truly fascinating and offers an authentic Andalusian experience. Winter is a great time to visit, as it is relatively uncrowded – most travellers head to the sierra to ski and snow board and international tourists prefer spring through summer. So, you’ll find great deals on accommodation in the city. 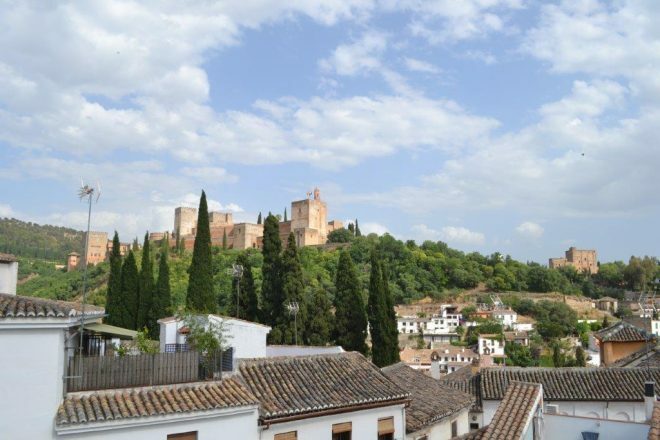 For the budget traveller, this time of year means one can stay in the heart of the Albaicín in historic guest houses and small hotels at competitive rates. I discovered ‘Casa del Aljarife’, just minutes away from the famous Mirador de San Nicolas. This 17th century house is on a small cobbled square. This family-owned house is run by son Damian and his wife Rocio, a young couple that are the perfect hosts. Both speak English, German and Spanish fluently. 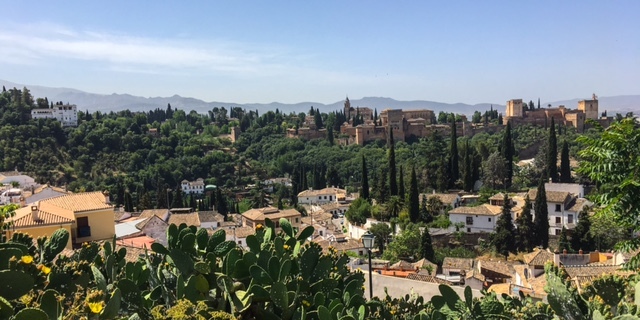 Their enthusiasm for their city is contagious and they’re happy to sit and spend time with guests explaining the sights and flavours of Granada. Room 1 faces onto the small square. 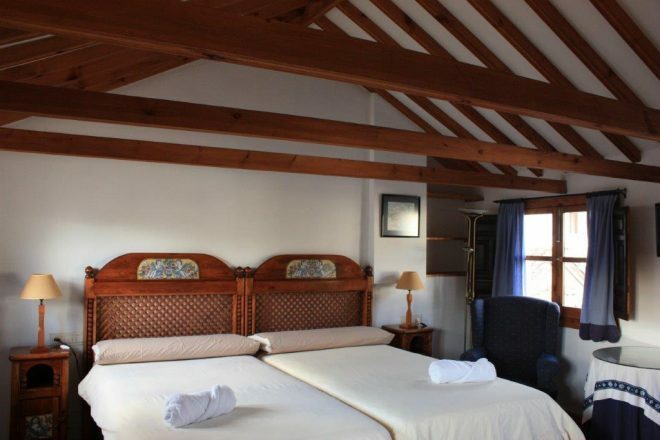 There is a large living room with beautiful restored wooden ceiling. Two-fold-away single beds are hidden in cabinets – ideal for use by families. Room 3 faces the Alhambra and has its own private terrace, ideal for romantic evenings watching the sun set. For families is can be made up as a triple. Room 4 is the most intimate room, with lovely views of the Alhambra. Off season breakfast is offered in the dining room – expect a continental spread including Rocio’s homemade marmalade. 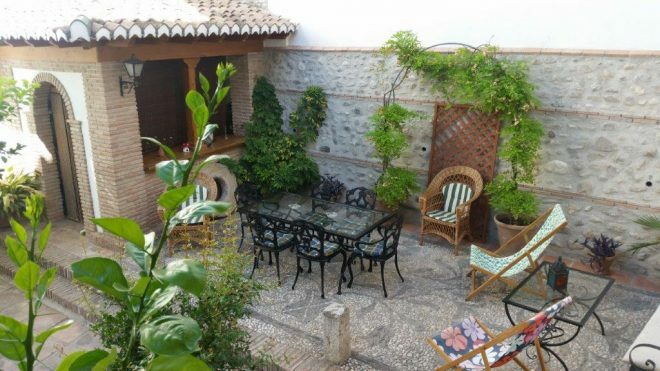 From spring onwards, then one can really enjoy the large patio courtyard for breakfast, drinks and relaxing. Usually visitors often avoid the Albaicín as arriving by car can be tricky – narrow, one-way streets with little in the way of parking. 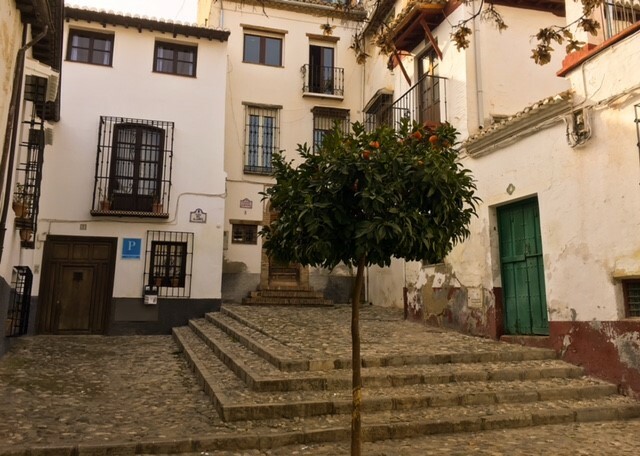 Yet Casa del Aljarife offers private secure parking for just 15 euro a day – what’s more Damian meets guests and takes them to the parking and then helps carry cases for the short walk to the house. 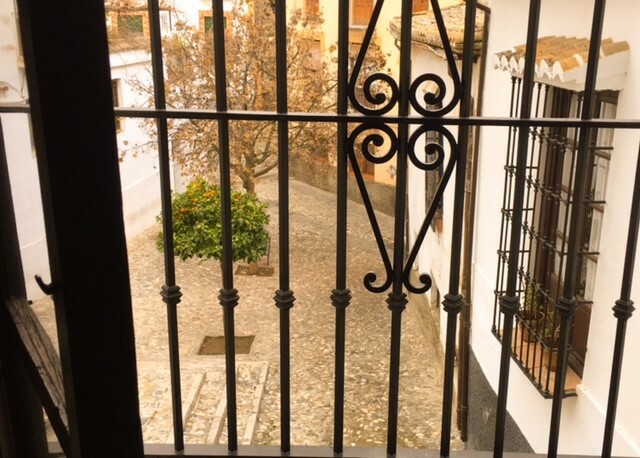 That’s what I really loved about my short stay in the Albaicin – Damian and Rocio really offer a very personal and authentic service, making sure that you get the most out of a visit. You can’t come to Granada and not enjoy tapas! It’s one of the Andalusian cities where they still offer free tapas with each drink. However as with any tourist destination, sometimes things can be a bit hit-and-miss. My favourites include La Tana at the end of the famous Calle Navas (a pedestrianised street full of places to eat, some great some not so great); and Bar Los Diamantes. There are 4 now in the city. Damian and Rocio will be happy to make recommendations of places to eat nearby too. At this time of year you can also enjoy the unique Granada cake, called ‘Cuajada de Carnaval’. Only in the bakeries during Canival, the period before Lent. 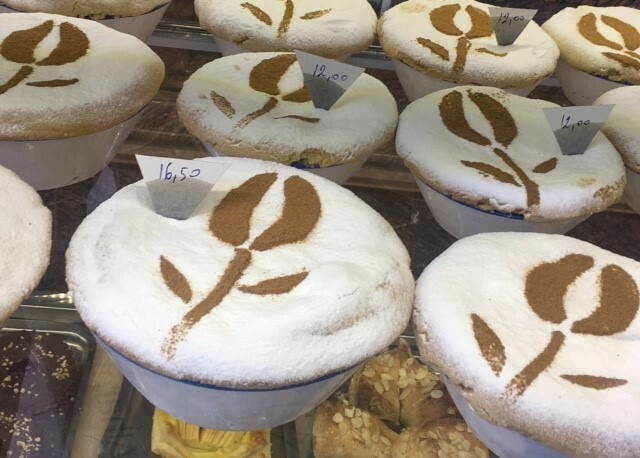 These cakes are made from the dry, shortbread festive cookies called polvorones, together the distinctive flavour of Andalucia, almonds, and a dusting of cinnamon, usually in the shape of a pomegranate, the symbol of Granada. Of course, if this is your first visit to Granada then one should experience flamenco. The ‘caves’ of Sacramonte are the most well-known, but also the most commercial. 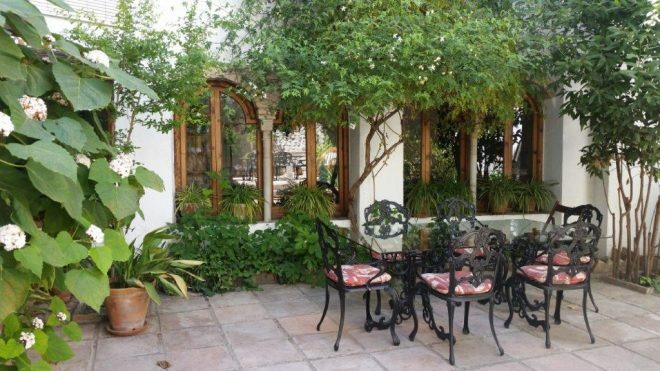 Near Casa del Aljarife, try the ‘Jardin de Zoraya’ – a restaurant with flamenco show. Damian and Rocio can make the reservation for you. 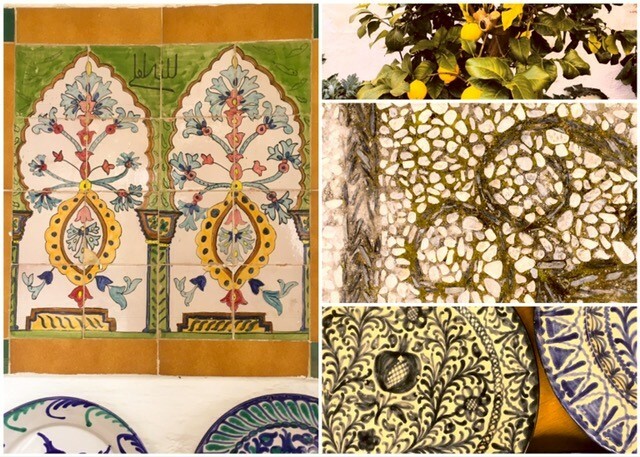 To access the Nazrid palace and the Generalife gardens visitors must book tickets – use the official site, and avoid other s, as many are fake. But even without a ticket you can experience much of the citadel. There are three entrances open free to the public where one can enjoy views out across the city, to the Albaicin. You can read more about the remarkable gardens of Granada province here and a typical Alpujarran village here. You can read more about the Albaicín on Andalucia Diary here and more old town photos here.